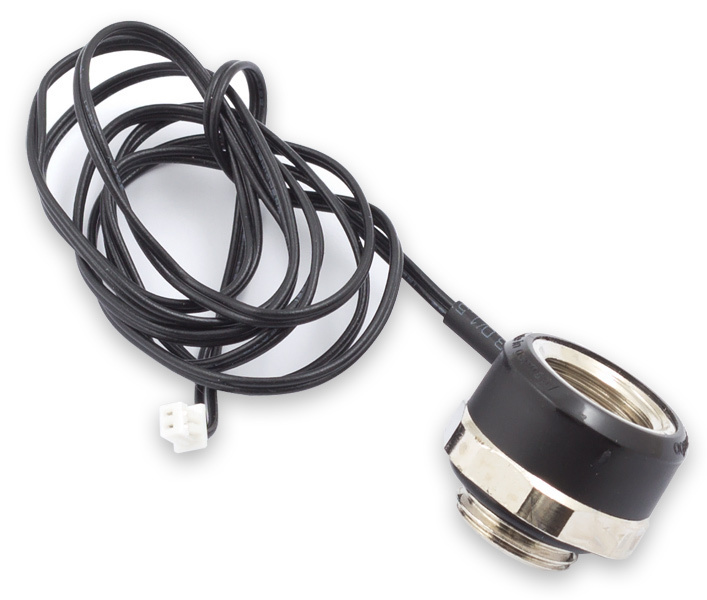 This temperature sensor is equipped with one G1/4 inner thread and one G1/4 outer thread with o-ring seal and can be installed directly between water block/radiator and hose fitting. 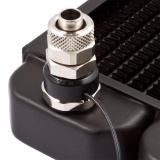 Cable lenght approx. 60 cm, female miniature connector.